Did you know that the word Halloween is a contraction of “All Hallow’s Evening”? Halloween is tomorrow and that means something different to everyone. Some of you may be looking forward to dressing up and trick-or-treating, by with friends and younger siblings. You might be planning on handing out candy at home. Others still might be turning out the lights, pretending they’re not home, and watching a scary movie or reading a scary book. I myself may be doing the last thing on this list, finishing up the last book in the horrific Monstrumologist series, The Final Descent, by Rick Yancey. What are your plans for All Hallow’s Eve? If you’re looking for a good horror read to scare your pants off on Halloween night, check out these books! The teens at the Ream Recreation Center in Mt. Washington are planning and creating their own haunted house. Lots of preparation has gone into the design of the haunted house. The teens have started to craft coffins and cemetery stones for the display. They have painted masks and other spooky decorations. 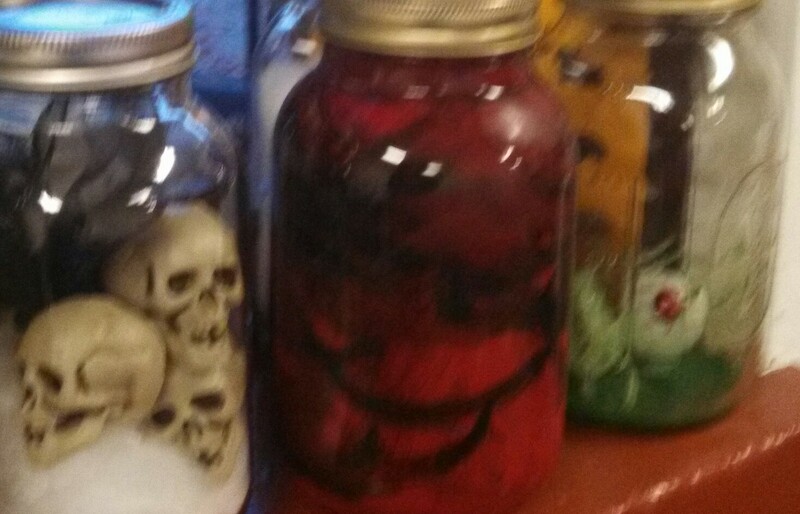 Making “gross-out” jars for the haunted house refrigerator was the sloppiest and most fun of the decorating projects. Fake blood and eyeballs. Spiders and bugs and rats. Big hairy spiders. Yucky and as gross as can be. Gross-out jars are easy to make. Start with a quart sized canning jar. Actually any empty jar or container will do. Sort through the recycle bin to find some suitable jars. Next, you need some stuff to put in your jars. Add your selected items to your jar, layering things as you go, If you add water with food coloring, some items will float for a truly spooky look. If you use food items, use a jar with a lid. When using food items–make your jars just a few days before you need them. We don’t want our Gross-out jars to be really gross and stinky! 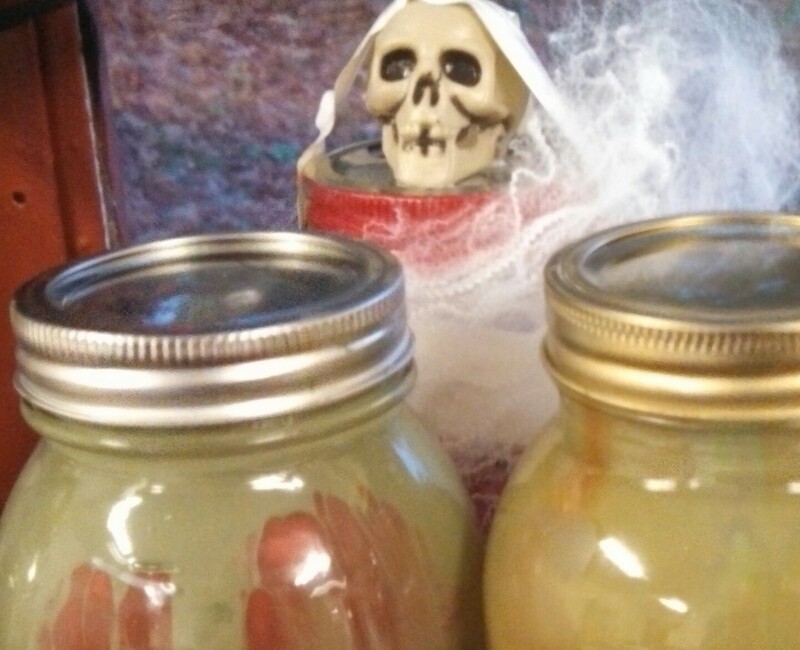 Gross-out jars are the perfect thing for a haunted house that has a Mad Scientist room. Display them on a window sill or bookcase. Another great idea for using canning jars is to make Halloween lumaniries. 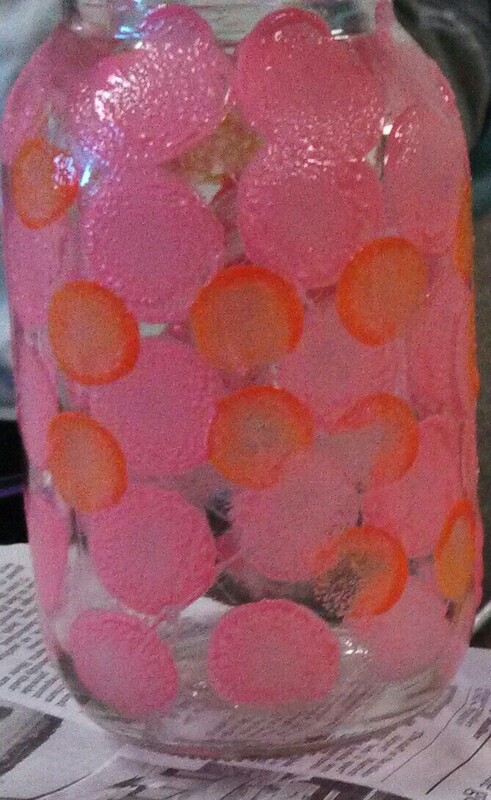 Decorate the jar with tissue paper and craft glue or paint the outside of the jar. Use LED tea lights instead of candles for safety reasons. 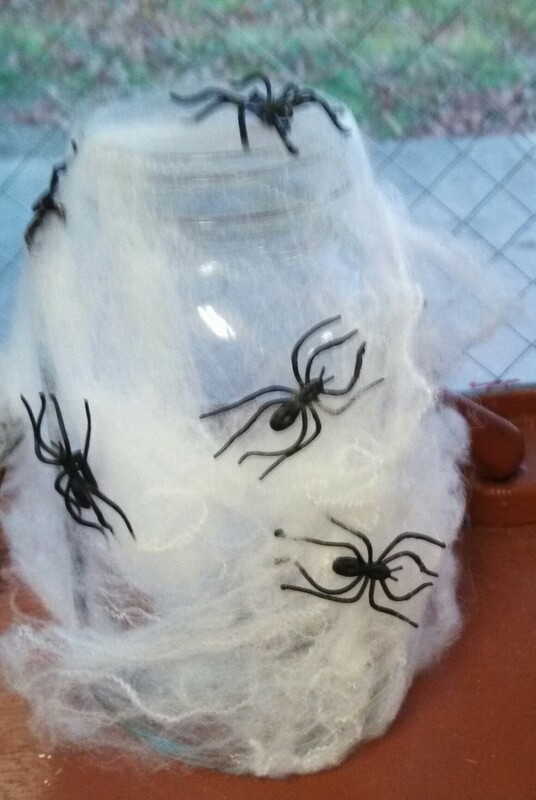 For more great ideas, see Mason Jar Love and Pinterest Mason Jar Halloween, Ask your librarian for more recommendations regarding books and web sites for Hallloween decorations. The season of FEAR is upon us. If you’re in search of thrills and chills, you’re in luck– creative teens around the city are hosting library hauntings to inspire horror in the hearts of fear-seekers. This Saturday, October 26, check out the first ever Haunted House at CLP- East Liberty, brought to you by the East Liberty Teen Advisory Council. This fear-fest will feature horrific tales, ghoulish delights, and even…robotics? Gotta see it to believe it. You can drop in between 10 AM and 5 PM on Saturday at 130 S. Whitfield Street to catch some of the frightful (& FREE!) fun. Meanwhile, the ghosts of Halloweens past are gathering in Carrick, waiting to invade the library for another year of fear. From the gruesome minds that brought you CHAIRPOCALYPSE! and the story of Alice and her haunted well, it’s THE RETURN OF THE HAUNTED LIBRARY. Take a spine-tinging stroll through three mini-rooms of terror as you delve into a tale of madness and obsession. Can you keep your cool as the restless spirits surround you? Don’t let your mind wander too far…they say there’s something lurking in the woods. 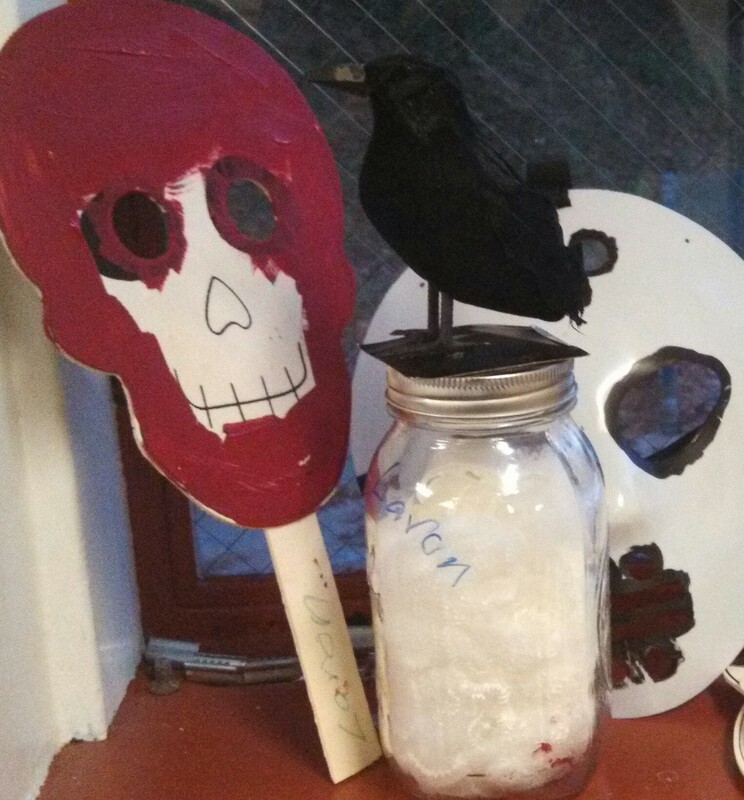 Check out how the teens of CLP- Carrick have transformed an ordinary room into a chamber of fear– don’t miss the Haunted Library at 1811 Brownsville Road. 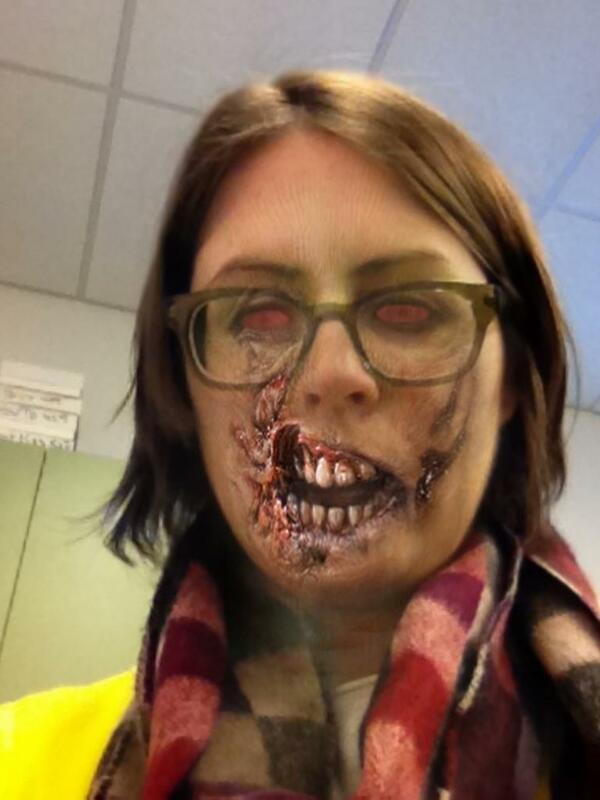 It’s no secret that I love Halloween. And while I love costumes, candy and parties – I scare very easily. Horror movies and haunted houses are usually off limits. I do make one BIG exception, Michael Myers in Halloween! My favorite version of Halloween is the low-budget original from 1978 with Jamie Lee Curtis. If you have never seen Halloween, it’s playing locally on big screen for a limited time! Halloween has been made into countless sequels and adaptaitons. Some are better than others. Below is a list of my personal favorites! Don’t forget the Rob Zombie Remakes too! Need a break from movies and trick-or-treating? If haunted houses are your thing, Pittsburgh has some of the best in the county. Check out Scare House, Terror Town and Hundred Acres Manor. After a year’s absence, the terror-driven tradition is returning with a brand-spanking-new story, set, and crew. This year’s Haunted Library was entirely planned – and will be constructed and staffed – by members of Teen Think, Carrick’s teen advisory group. Unrequited love, unspeakable savagery, vengeance – all spread across three rooms of unmitigated, family-friendly terror… and it’s FREE! You have no excuse. Remember, the only thing scarier than losing your library card is the Haunted Library!